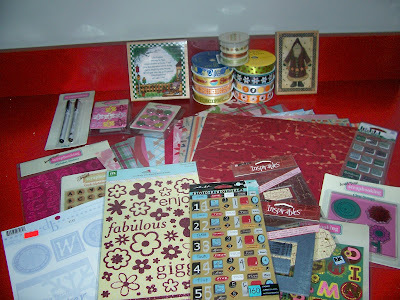 Confessions of a 20-something Scrapbooking Mother: My very own blog candy!! I'm the mother of a 20-something scrapbooker!!! I guess that counts too.lol...I'm not a grandmother YET..but praying that sometime in the near future..will have to wait and see. I'm not a tween and when I was, I'm sure it wasn't called that but I loved the Twilight books. Last but not least I do like candy. Thanks for the chance. How generous of you! I'm doing Angel's challenge and found you through her blog. Great cards for the challenge and thanks for the chance at candy!!! So, what did you find at Big Lots yesterday? Btw, thanks for taking the time to always comment on my blog. You and Veronica are the only people that do. How generous of you! You do NOT need to put me in for the blog candy. I have so much stuff!! I'll post about your candy on my blog tomorrow! nice blog, and i realy want to win. I like the way you did your card for Angel's challenge #2. I like the way you repeated the circles in 3 different ways - it works well. Awesome RAK! Thats so nice of you to offer one. I hope I win! Hi Becky . . . I forgot to post about your blog candy when I did my post for today, but I did go back and I added it in. You still do NOT need to put me in for it! Have fun! Thaks for that blog candy. I'm not a 20 something scrapper.......but my daughter is. Hi there! So nice blog candy! I have a link about your blog candy is on the right side of my blog. How nice of you to have a blog candy! Count me in the draw, please. All the items of your blog candy are quite nice! Thanks for the chance. Great blog candy! What do you mean not trendy??? Scrapbooking is unique for everyone so I think it's great personally! 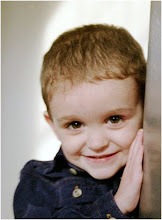 :) Your kids are adorable! I have yet to post my halloween pics of my girls. Thanks for the chance to win, I'll add your site to my blog. Thanks! how very kind of you to do this, i have added you to my blog. Wow!! wht a lovely blog candy!! I would love to be entered! And I will post on my blog as well! I also have blog candy up and invite you to join in on mine as well!! Thank You! I've added you to my blog!! The candy is delicious. :) I linked you on my BLOG. Becky your boys are very cute. I just discovered your blog and I love it. Anyway, I'm linking you on my blog and cross my fingers. Thank you for the chance. Oh, what wonderful candy you have! I've linked you on The Paper Freak. Thank you! wow! wow! wow! nice blog and genorous candy.thanks for the chance of winning.